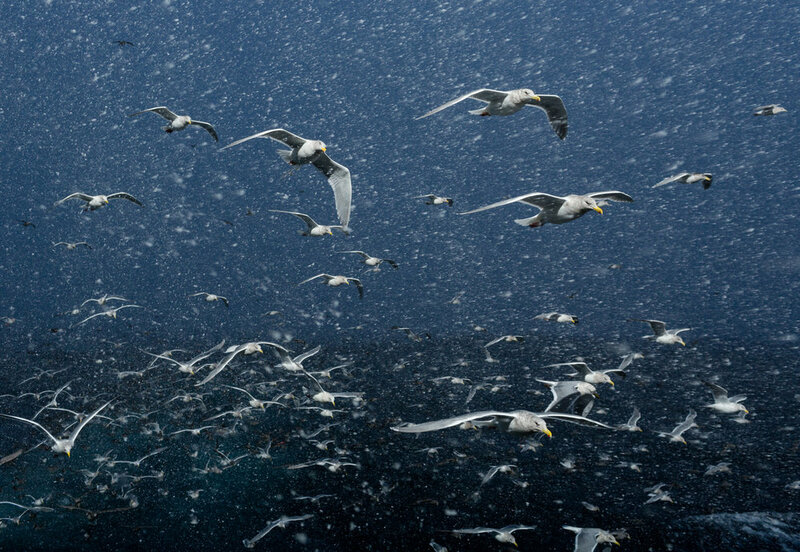 "Fight or Flight," a photograph by Corey Arnold, whose work is view April-May 2017 at Charles A. Hartman Fine Art, in Portland, Oregon. 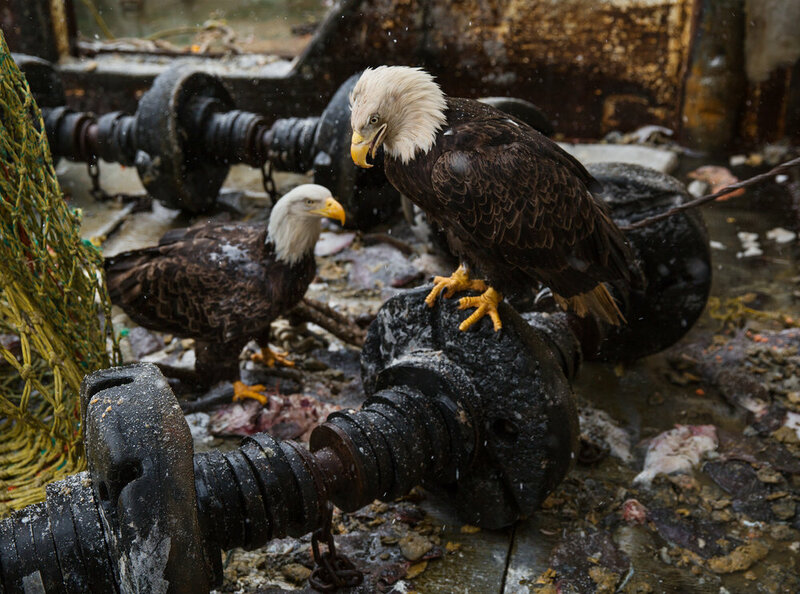 Corey Arnold’s exhibition at Charles A. Hartman Fine Art in Portland, Oregon, is at once raw, elemental and surreal. 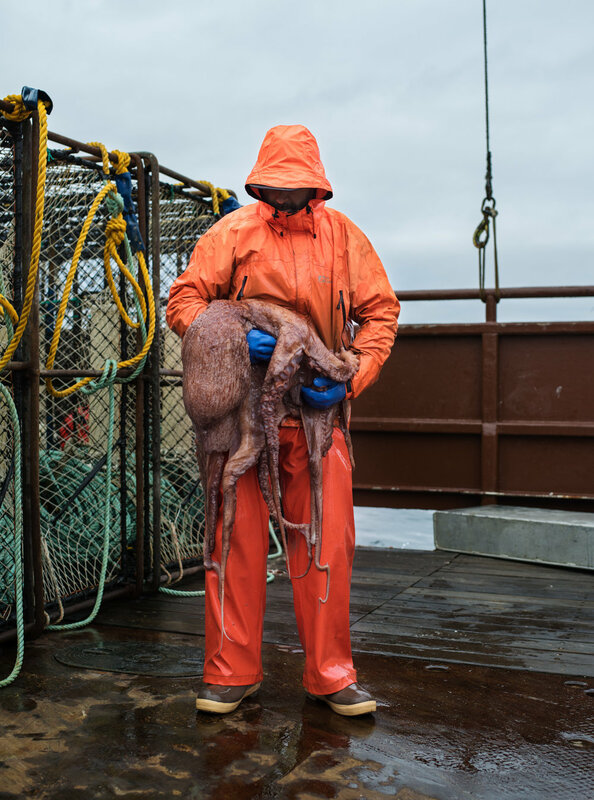 Fishermen cloaked in rubber grip bulging cephalopods like a bond villain might fondle his prized cat. 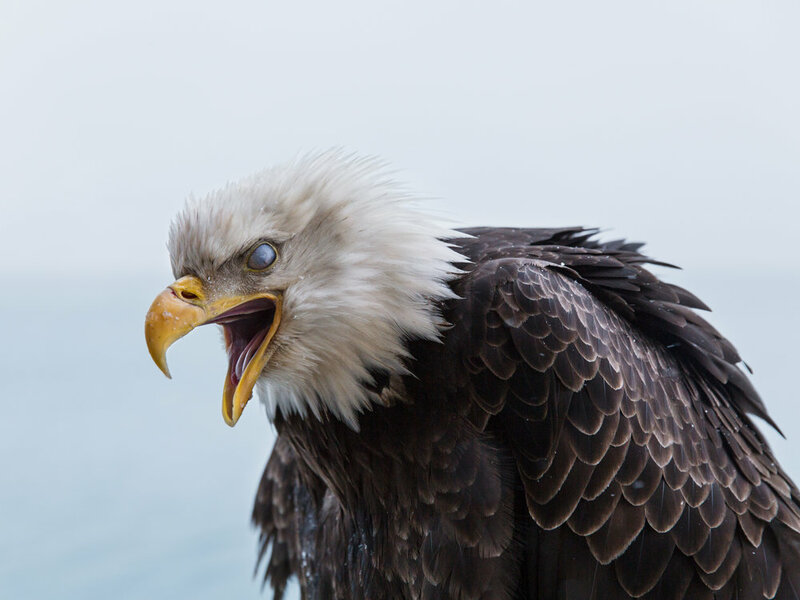 Majestic bald eagles appear degenerate, like mere gulls, as they scavenge scraps of the alien forms dredged from the briny depths of the Northern Pacific Ocean, their carcasses frozen to the bow of the ship carrying them to land. Compelling and intelligent, these photographs invite the viewer into a world and a working culture that few people get to experience. 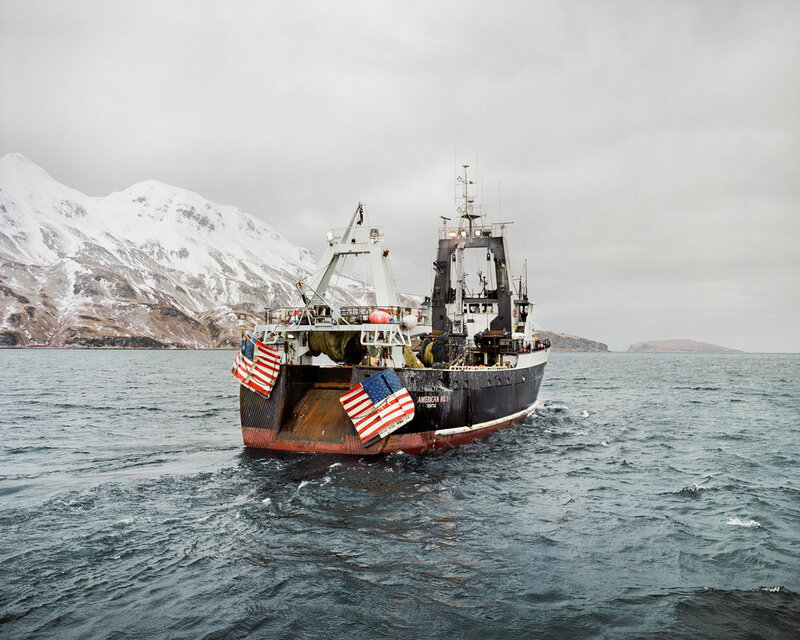 Arnold, a fine art photographer and Alaskan commercial fisherman based in Portland, has, since 2002, been documenting his work as a Bering Sea crab fisherman and his summers captaining a sockeye salmon fishing boat in Alaska. 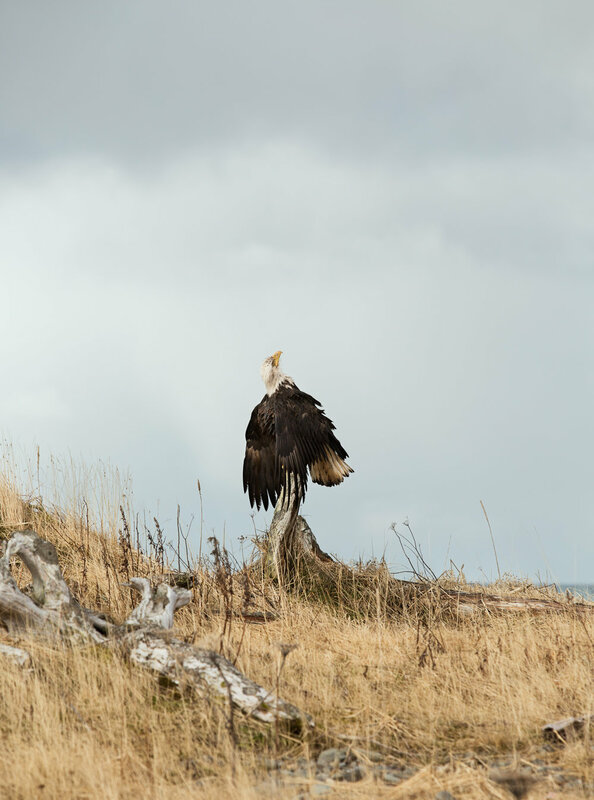 In the off-season he continues to explore the world’s commercial fisheries in an open-ended project entitled Fish-Work. 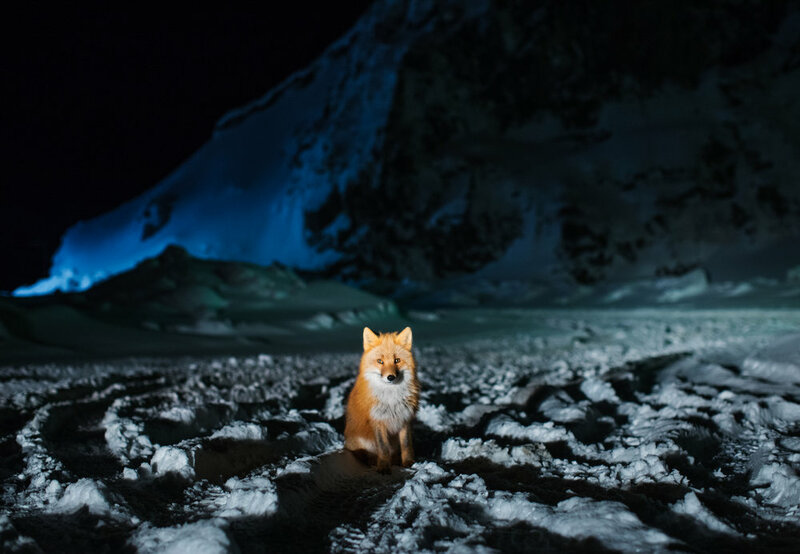 Arnold’s photographs have been exhibited worldwide and published in Harpers, The New Yorker, National Geographic, Mare and The Paris Review among others. 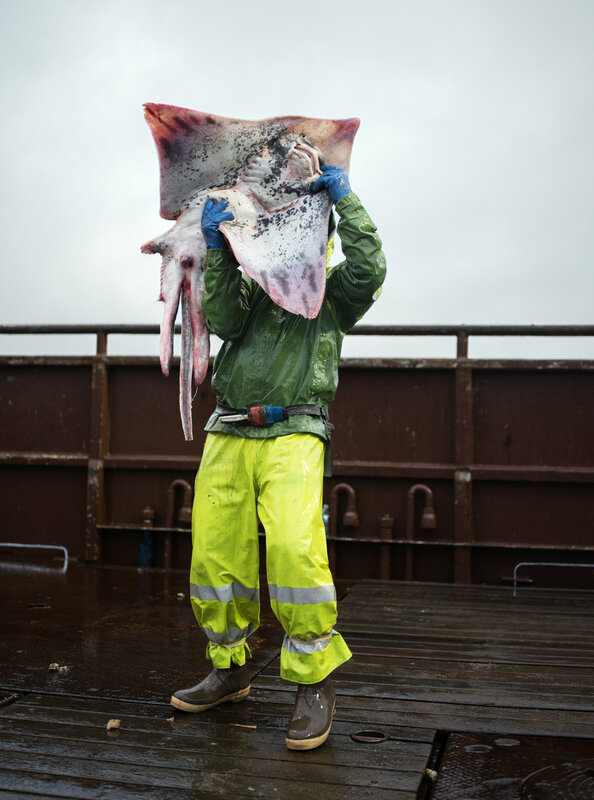 Nazraeli Press has published two books of his work including Fish-Work: The Bering Sea and Fishing with My Dad. Photographs courtesy the artist and Charles A. Harman Fine Art, Portland, Oregon.